The first of three scheduled presidential debates is now in the books, and while some people might disagree, why not just come right out and say it: that was a solid win for Democratic nominee Hillary Clinton, and a nightmarish escapade for Republican nominee Donald Trump, one that reinforced almost every concern and question an undecided voter might have. But not all the candidates actually made the debate, and a certain third-party nominee wanted to remind everyone ― let's just say Jill Stein's self-congratulatory post-debate tweet didn't do her any favors. 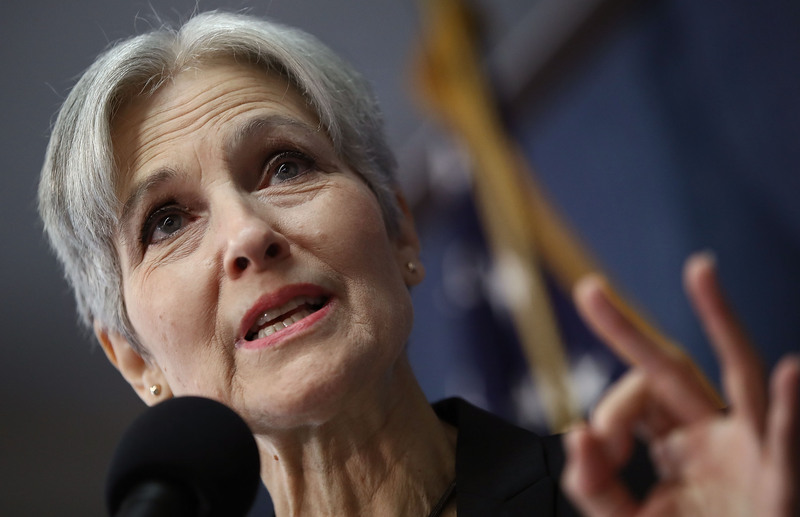 Stein, of course, is the Green Party's nominee for president, and she's running on a hard-left platform, and has reveled in taking as many shots at the two-party system (and most often Clinton, who she counter-intuitively regards as more dangerous than Trump) as she can. She wasn't in the debate, having fallen far, far short of the 15 percent polling average required to participate (Libertarian nominee Gary Johnson also missed the cut, although he came much closer), but that didn't stop her from arriving at the venue and ultimately being removed from Hofstra's campus. Then, after the debate, she tweeted the following. It's probably best to remind yourself first that she's currently sitting at less than three percent in a four-way race, to give you the proper perspective on the epic extent of this attention-hunger. Yep, that's the sagely Stein, lovingly rendered in pencil, shoving the two major-party podiums out of her way as she... greets an adoring public, presumably? To be clear, this is absolutely not a knock on the artist, who did a great job ― if I were Stein, I'd like to show off such a sharp rendition of myself, too. But setting that aside, and not that this really needs to be said, but the message Stein attached to the drawing is fantasy in the purest sense. When you're not actually in the debates, you're not going to be able to wow anybody with your "solutions," much less when the actual event is drawing Super Bowl-level audiences, and you're left out in the cold. Obviously, it's entirely fair if you believe Stein should've been in the debate ― although if you're letting people with her poll numbers in, you can expect to see an awful lot of peculiar characters get starring turns in the years to come ― but frankly, this kind of tweet, coming from Stein herself, comes off more like presidential campaign fan-fiction than anything else.